Gregory A. Miller is president and CEO of OLAH Healthcare Technology. A technology industry veteran, Greg has over 35 years of highly accomplished experience, comprising executive positions of founder, CEO, COO, president, VP of sales and marketing, and Board member. He brings to his CEO role at OLAH an extraordinary ability to translate vision and execute strategy for organizational prosperity. With numerous startup successes in his notable career, including companies that remain market leaders today, Greg is distinctly adept in advancing organizations to market prominence. He has led several private and public software and technology companies from startup to market leadership in the ERP, CRM, construction, retail and healthcare industries. After joining OLAH as president and COO in September 2017, he assumed CEO responsibilities in January 2019. 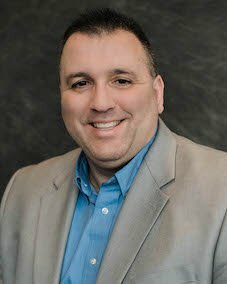 Brian Olah founded OLAH Healthcare Technology in March 2003 and has overseen advancement of the company to its market leadership as the #1 legacy archiving solution for hospital labor and delivery clinical IT systems. Brian has extensive experience in the healthcare decommissioning industry and is responsible for business development, product management and customer relationship management. Mike Eldredge is vice president of Technology for OLAH Healthcare Technology. Having worked in the technology field for more than 18 years, Mike joined OLAH in May 2018 and brings extensive knowledge and experience to his role and responsibilities for the infrastructure, application development and compliance teams. In his career, he has led numerous technology projects and teams with great success. His expertise in commercial application software and cloud technologies, combined with his strong management background, benefits OLAH’s clients and team members as well. 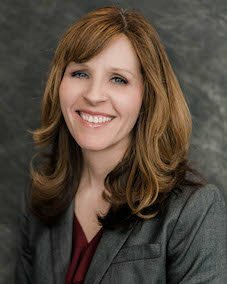 Amy Johnson is vice president of Marketing for OLAH Healthcare Technology. With nearly 20 years of healthcare marketing and brand management experience, Amy joined OLAH in January 2019 and leads the company’s strategic marketing efforts. Her impressive career includes oversight of the marketing function for a large healthcare system in the Southeast, experience that will serve to bolster OLAH’s brand and support its growth in service to healthcare systems across the country.